What Happens to Recycled Carpet? The campaign to reuse carpeting was originated by the Carpet America Recovery Effort, or CARE. They are a non-profit organization with a mission to increase awareness of the potential uses of used carpeting. CARE has a group of members nationwide who have locations that collect used carpet. Recycling centers are not available everywhere, yet, but they are available in Dallas and Ft. Worth and Floor Partners is one of the early adopters in carpet recycling. If you have carpet available for reuse, all you have to do is call Floor Partners or fill out the Floor Partners Carpet Recycle Request form. You will need to provide the approximate square footage, the location of the carpet and a potential pick up time. You will then receive a quote for the pickup. 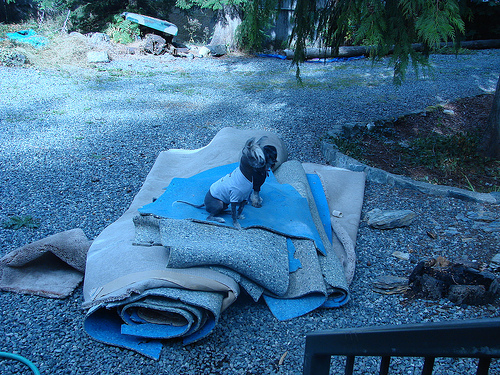 In some situations, the company will pick up the carpeting for a nominal fee. But remember saving space in land fill and giving new new life to a used product is our goal. Bottles, plastic bags and used carpeting fill the landfills. These things do not decompose easily. When you recycle your carpet, you are doing everyone and the planet a favor by going green. All it takes is a phone call to start the process.